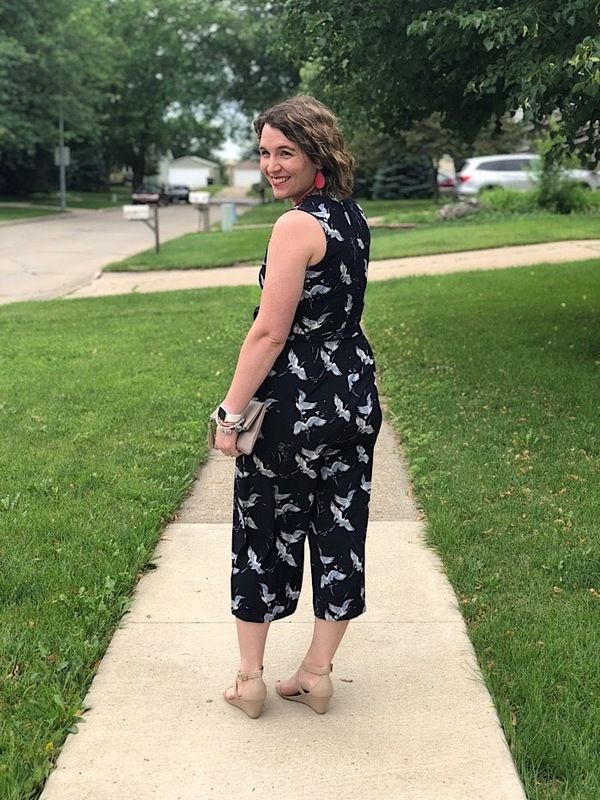 I love a good dress because it's an all-in-one outfit in the summer especially, but I also LOVE a good romper or jump suit. As long as I can get in and out of it comfortably and it fits well, I'm sold! Like I said, I LOVE a good romper. 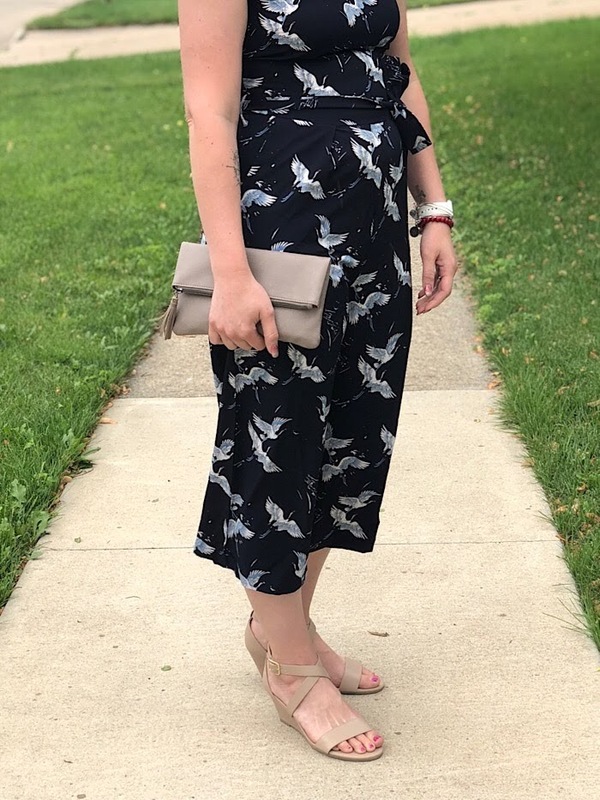 I own quite a few, and expanding that love to something that is a little more dressy is fun. 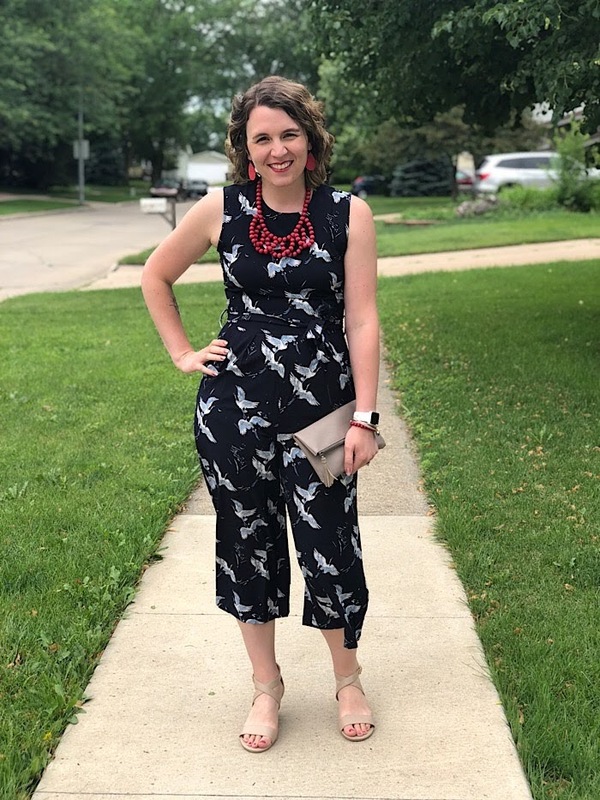 Jumpsuits are basically the equivalent of a romper except that a romper is shorts and a jumpsuit is pants, or in this case crops. 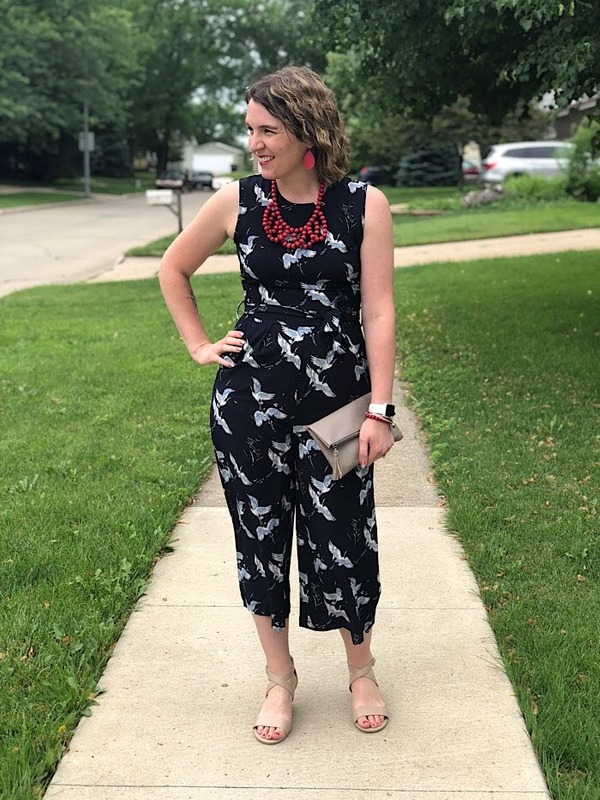 I would say all in all I feel like jumpsuits usually seem more dressy. Someone can truly prove me wrong, but usually I find that's the case. 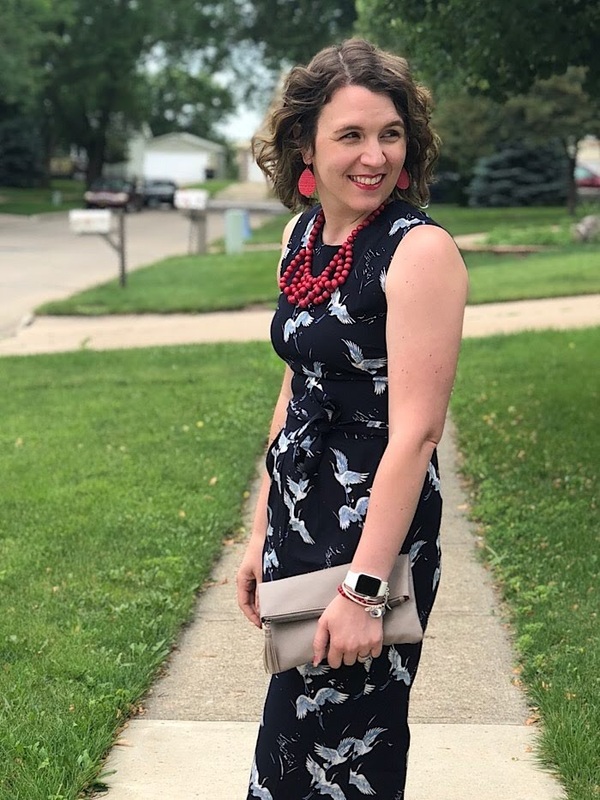 This one would totally work for a date night, girls night, or I even think I could wear it to school to teach in, too. It works with my slightly pear-shaped figure and fit pretty true to size. It also has a full zipper up the back so it is easy to get in and out of. 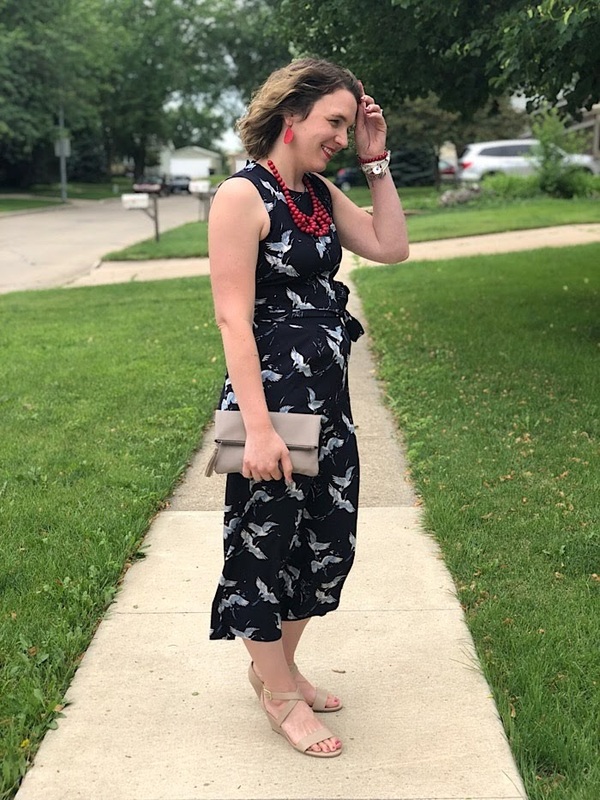 I stuck with neutral wedge sandals and a neutral clutch and then pulled from the slight bits of red that you really can't see in the bird print of the jumpsuit for my necklace and earrings and one of my bracelets. 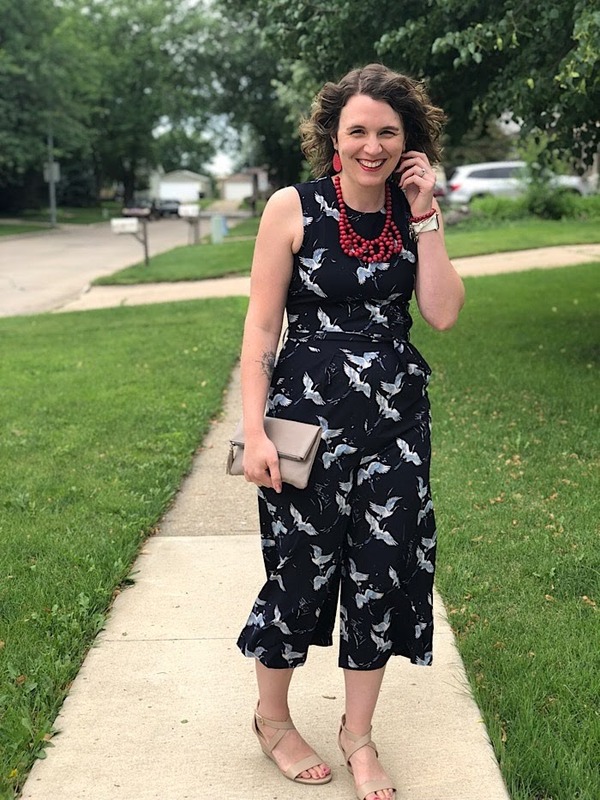 So, have you tried a romper or jump suit? If not, what's holding you back?